This singer rose to fame throughout the ‘90s thanks to her albums in Latin-American. However, it wasn’t until she released an English album that Shakira became famous around the world. Songs such as Whenever, Wherever have gone on to become timeless classics all around the world, with hips Don’t Lie even winning Shakira a Grammy. It was back in 2011 this star got the chance to seal her own place on the Walk of Fame on the world-famous corner of Hollywood and Vine. Penélope Cruz has been on our screens for a number of years with appearances in movies such as the romance drama Vicky Cristina Barcelona, and the romance fantasy Vanilla Sky. However, it was 2011 when Penélope landed a starring role in the action comedy movie Pirates of the Caribbean: On Stranger Tides that the actress won her star on the Walk of Fame. The star was unveiled just one month before the film hit the big screen and was the perfect build-up for it all. For months, many fans were desperate to see Chris Pratt earn a star on the Walk of Fame. Their prayers were finally answered in 2017. Chris began acting as soon as he left high school and was able to land a variety of smaller roles at the beginning of his career. However, it was securing a leading role in the superhero film Guardians of the Galaxy that shot this star to fame. From there, it was onwards and upwards with the adventure movie Jurassic World and both the franchises’ sequels. How can one of the greatest female stars not have a place on the Walk of Fame? Well, that all changed in 1960 when Marilyn Monroe was given her rightful place. The model, singer, and actress began her career modeling before moving on to small roles in films. Amazingly, as soon as Marilyn was recognized, she shot to stardom where she mingled with some of the biggest names of the time. That was all until her unfortunate and tragic passing in 1962 at just 36 years old. This country music legend first began singing when she was just 13 years old. Now, Shania Twain has sold over 57 million albums in America and Canada alone. Although Shania’s debut album was released at the start of the ‘90s, it wasn’t until ‘95 that she shot to fame. From there, it was all the way to the top as Shania released hit after hit, such as Man! I feel like a woman!, and That Don’t Impress Me Much. 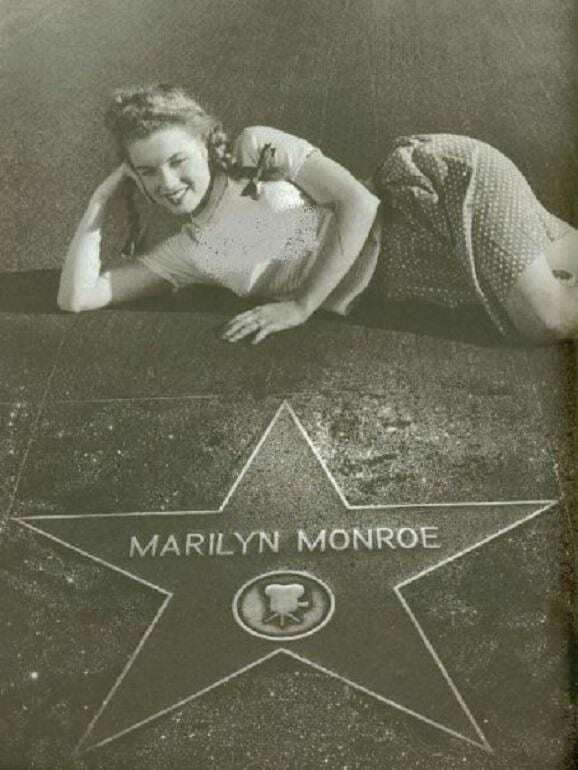 The singer was awarded her star in 2011 outside the front of W Hollywood Hotel. RuPaul is one of the latest celebs to earn their star on the Walk of Fame as he received his in 2018. RuPaul rose to fame as the creator of the reality competition show RuPaul’s Drag Race and is said to be one of the most famous drag acts in the world. Now, RuPaul is the first drag queen to have earned a star of their own. As if that wasn’t enough, RuPaul has also made a huge contribution to the world of music and even been the spokesperson for MAC Cosmetics. To date, this incredible Hollywood actor has appeared in more than 60 hit movies, including the action franchise National Treasure, the action movie Con Air, and the superhero film Ghost Rider. Nicolas was given a step into the world of fame thanks to being part of the legendary Coppola family and has been acting since his teens. 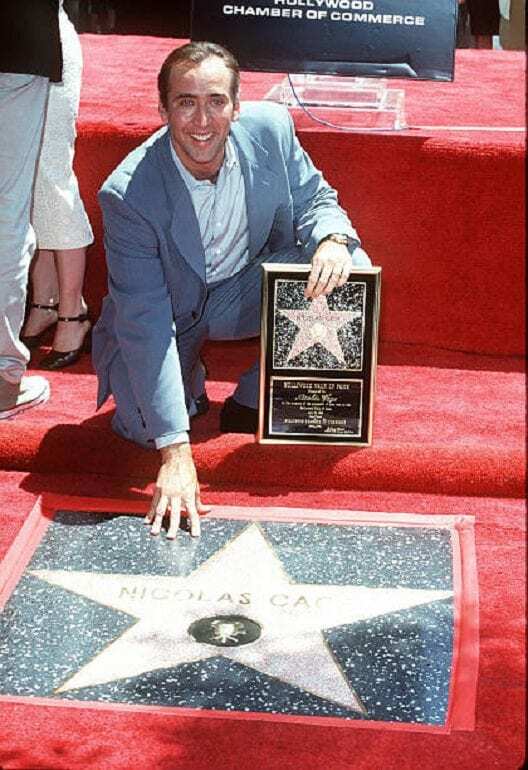 Over the years, Nicolas has appeared in a whole variety of genres and was awarded for all his work in 1998. This star has risen to fame for a whole host of reasons, including her work as an actress, socialite, singer, food writer, and businesswoman. To top it off, Gwyneth Paltrow was formerly married to Coldplay frontman Chris Martin until their divorce in 2016. However, it was back in 2010 that Gwyneth received her star. This was at the peak of her time in the superhero movie Iron Man 2, and while she was busy creating her weekly newsletter, Goop, that showcases various treatments and ideas to help rebalance our bodies. Mariah Carey is one of the biggest female singers in the world. She had not only sold more than 200 million albums all around the world, but Mariah has also hit the number one spot on the Billboard Hot 100 18 times. Her vocal talents and singing style have made Mariah into an icon for many, and she has gone on to work with a whole host of other superstars in her time. 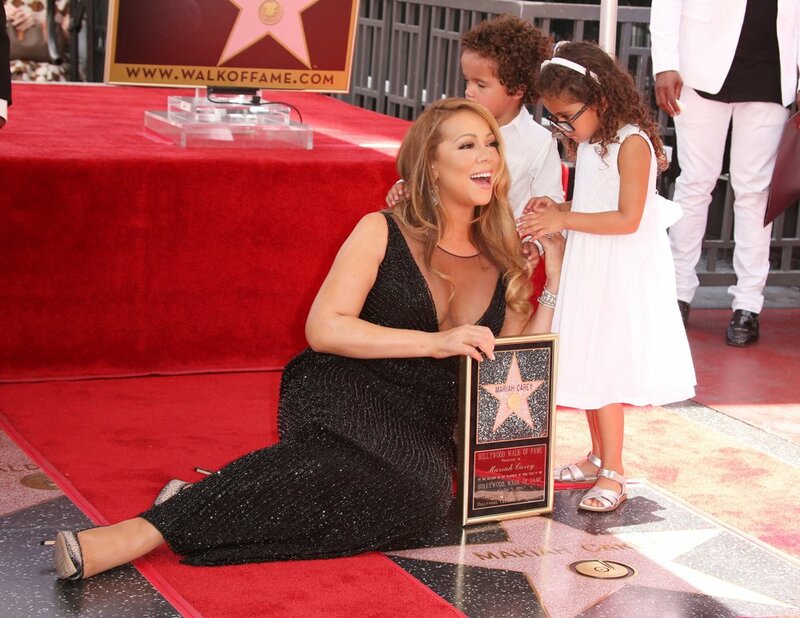 For all those reasons and more, Mariah Carey was officially awarded her star on the Walk of Fame in 2015. This parody singer is one of the latest artists to be honored with his place on the Hollywood Walk of Fame. Weird Al Yankovic started out life playing the accordion in his teenage years and sending in his songs to radio stations. However, the musician now has a four-decade-long career with hits under his belt such as Word Crimes, Amish Paradise, and Eat It. 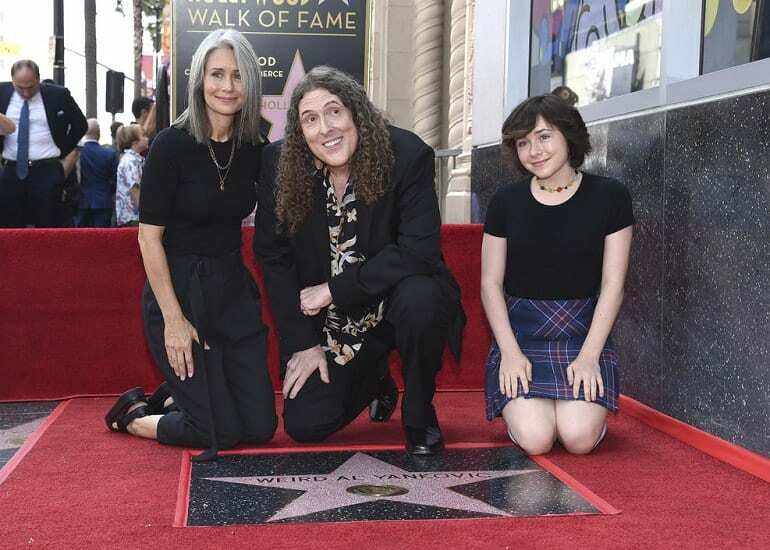 Yankovic’s songs have gone on to earn him a host of awards and nominations, now complete with his own star. Would you believe this actor has one of the most-visited stars on the Walk of Fame? Yes, back in 1999, fans lined the streets to get a glimpse at Johnny Depp as he arrived to accept his star in person. Johnny rose to fame thanks to his time in the police procedural series 21 Jump Street, but was unhappy being in the small screen; he had big goals and wanted to dominate the world of film. Now, he is one of the most prominent actors in Hollywood thanks to his 67 movies to date. This TV show host has been on the scene for many years, but it was commemorating ten years of her talk show, The Ellen Show, that earned Ellen DeGeneres a star on the Walk of Fame in 2012. The show has won Ellen a range of awards, including 12 People’s Choice Awards, 4 Teen Choice Awards, and 38 Daytime Emmy Awards. To top it off Ellen is now considered as one of the most popular comedians in the world and has gone on to appear in a host of movies. Of course, many of us recognize Jennifer Aniston for her time in the hit sitcom Friends where she played Rachel for all ten seasons. However, this was only the beginning for this actress. Jennifer is now one of the leading rom-com actresses thanks to her time in films such as We’re the Millers, He’s Just Not That Into You, and Horrible Bosses. As if that wasn’t enough, Jennifer has now turned her hand to directing, too. All her work in Hollywood earned her a star back in 2012. 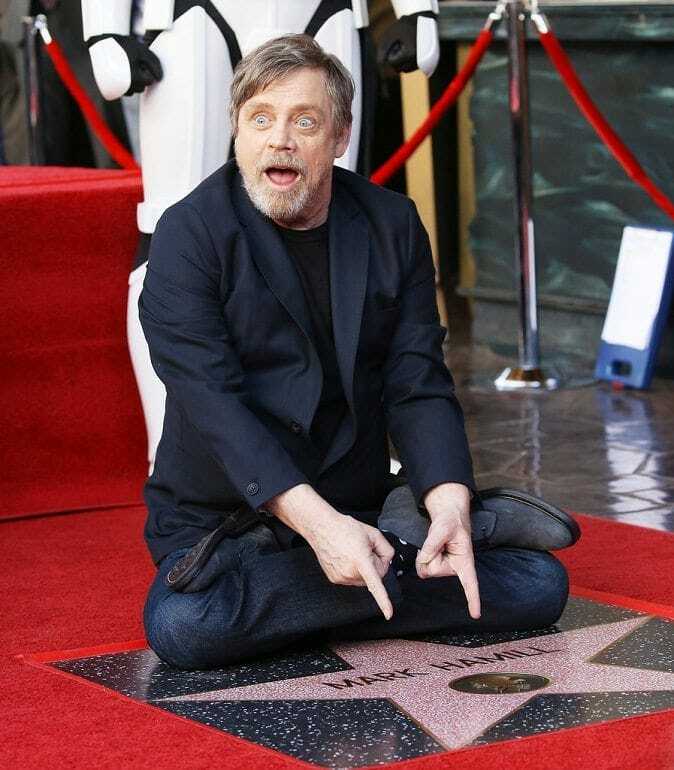 Was anyone more excited that Mark Hamill was awarded a star on the Walk of Fame than Mark himself? We thought not. In a city far, far away, this actor got to earn his place in Hollywood history as Mark unveiled his star in 2018. At the start of his career, Mark was acting in TV shows, but that all changed the day George Lucas signed him up to play Luke Skywalker in the sci-fi phenomenon Star Wars. The actor has appeared in all kinds of movies ever since. The sitcom The Big Bang Theory was the show that many people needed and hit the air at just the right time. Ever since, the stars of the series have been catapulted to the top of the acting ladder. Back in 2014, Kaley Cuoco, who plays Penny in the show, was awarded for her efforts in acting with her star on the Walk of Fame. However, her time on the small screen has earned Kaley a number of roles in movies as she continues to expand her career and dominate Hollywood one production at a time. Acting, directing, producing, performing, songwriting, singing – is there anything Christina Aguilera can’t do? It seems not. The star has sold over 30 million albums and hit the number one spot on the sharts no less than four times. Christina’s incredible vocal talents and ability to adapt to any role have both helped her carve a career in the world of acting, but it was her singing that earned her a star on the Walk of Fame for recording back in 2010. Eva Longoria hit our screens as Gabrielle Solis in the drama mystery series Desperate Housewives – one of the most popular shows of the time that was broadcast in 208 countries all around the world. However, it seems as though this star has proven her skills both in front of and behind the camera as Eva has since taken to directing. Still not enough? This celeb is even the face of L’Oreal. All her time in the limelight earned Eva her star in 2018. Dwayne Johnson started out life as a wrestler, but it wasn’t long before his charismatic and loveable personality saw him snapped up by Hollywood. Ever since, the star has appeared in the action franchise Fast and Furious, the action movie Skyscraper, the adventure comedy Jumanji: Welcome to the Jungle, and the animated children’s movie Moana to name a few. 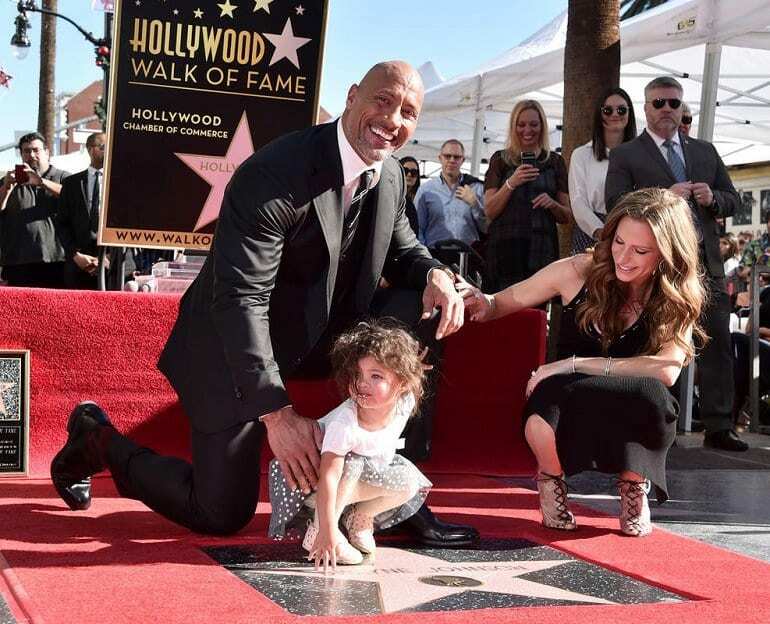 Dwayne officially earned his star for motion pictures in December 2017 where hundreds of fans lined up to get a look at the celeb. It was once hard to imagine a life without Steve Irwin The Crocodile Hunter in our lives, but tragically that became a reality back in 2006 after an accident while diving with a stingray. He might be gone, but Steve Irwin will never be forgotten as the late star was awarded his place on the Walk of Fame in 2018. 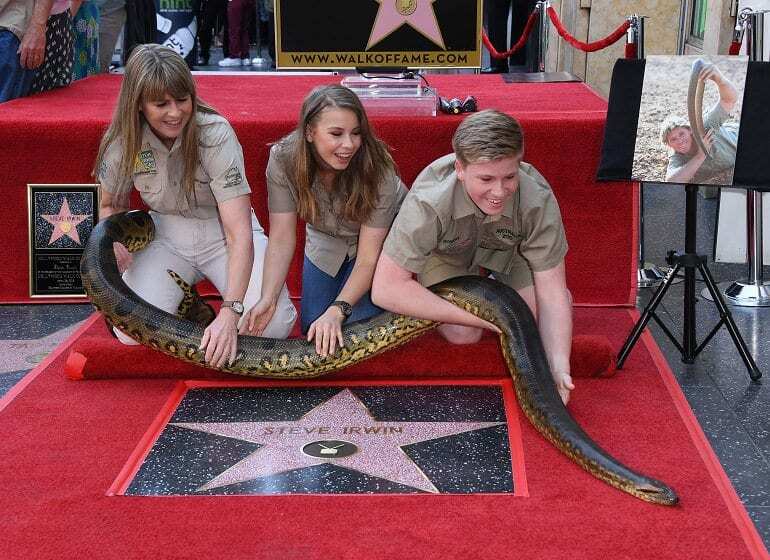 His former wife, Terri, and their two children, Robert and Bindi, were on hand complete with a South American green anaconda called Angelina to accept the star. 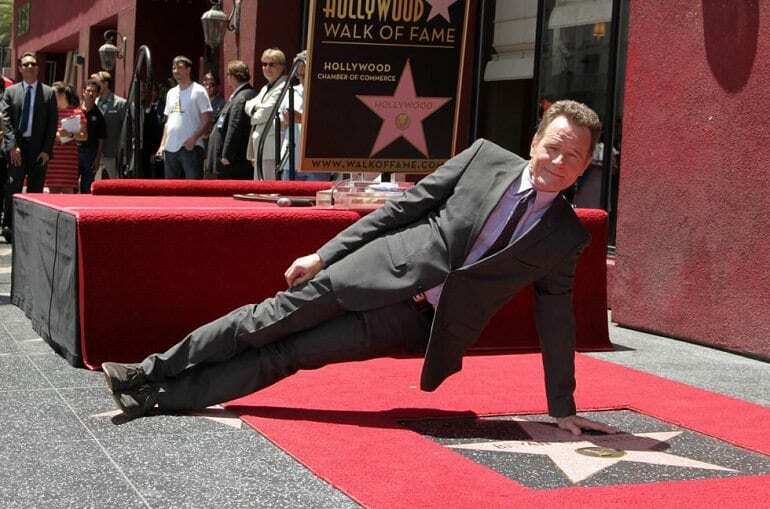 Of course, if anyone is going to go all out for their photos with their star on the Hollywood Walk of Fame, it’s eccentric actor Bryan Cranston. This versatile actor has been seen in productions such as the sitcom Malcolm in the Middle, the crime drama Breaking Bad, the historical drama movie Argo, and the biographical drama film Trumbo. It looks like no role is too much for this legend. All his time in our lives earned Bryan a star in television in 2013. Cameron Diaz began her career appearing in the comedy film The Mask before moving on to the comedy There’s Something About Mary. From there it was onwards and upwards as the actress continued to land roles in movies such as Vanilla Sky, the comedy Bad Teacher, and the drama Gangs of New York. It seems as though Cameron has had plenty to keep herself busy over the years. All of her work saw the actress unveil her star back in 2009. Getting her star on the Walk of Fame was memorable for Jennifer Lopez for more than one reason. Not only will she be forever commemorated for her work in music, but this celeb was also the 2,500th person to collect a star. Over the years, J. Lo has released hit singles such as On the Floor, Love Don’t Cost a Thing, and Jenny From the Block, as well as appearing in a range of movies. All of her accomplishments led J. Lo to appear on the Walk of Fame in 2013. This actress has always been known as an animal lover, so it only seemed fitting she should bring along her four-legged companion to the ceremony. Reese Witherspoon’s career was off to a huge start as soon as she set foot in Hollywood. Although the actress unveiled her star back in 2010, she has been seen at the Walk of Fame ever since. Recently, she had everyone on the floor after posting a video of her cleaning the star onto social media. Although Scarlett Johansson is one of the biggest actresses in the world, she actually started out her acting career on Broadway. After winning herself a Tony Award, it was time to move onto movies. So far Scarlett has been seen in the likes of the superhero franchise The Avengers, the sci-fi thriller Lucy, the comedy-drama Don Jon, and the psychological thriller Match Point to name a few. Scarlett unveiled her star in 2012 and has been at the top of her acting game ever since.